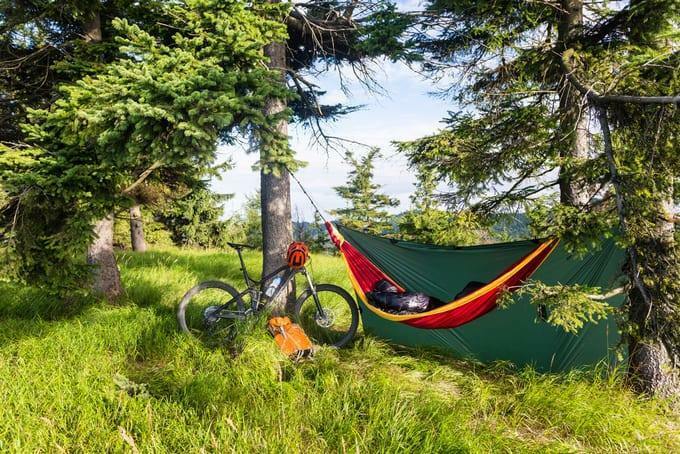 As a camper, you might consider having an outdoor hammock for your outdoor expeditions. However, you might find it difficult having a comfortable stay in it. How to sleep in a hammock properly? Sleeping in a hammock requires some techniques and just as setting up a tent, requires prior education before engagement. 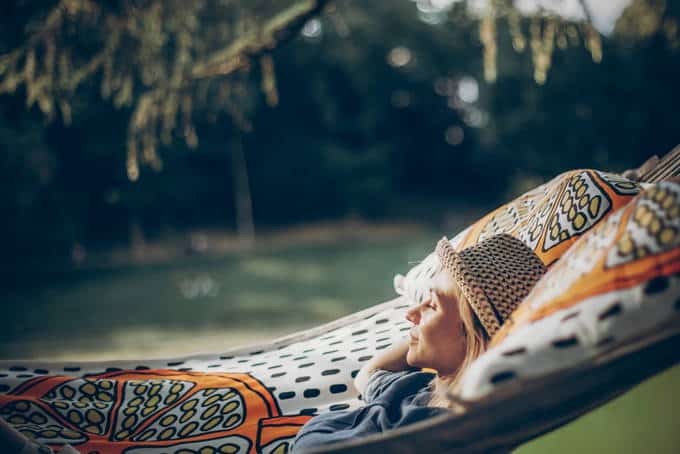 This article focuses mainly on outdoor hammocks and will give you an insight on the proper ways of using your outdoor hammock to ensure undisturbed sleep. Enjoy as you will learn a tip or two. What You Need To Know In Setting Up The Hammock? Sleeping well in a hammock is not difficult. 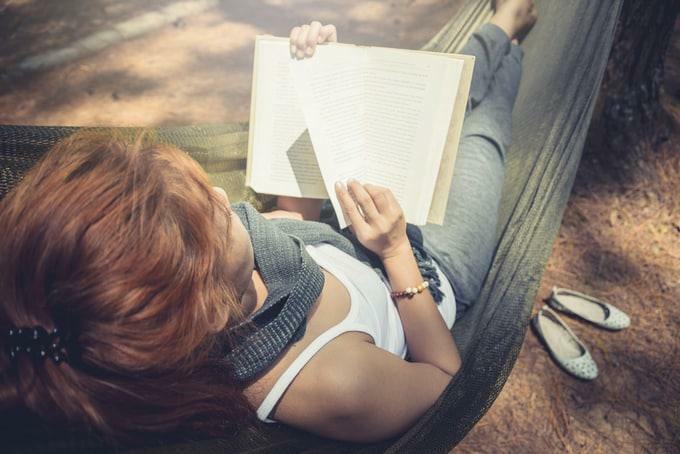 Research suggests that relaxing in a hammock is healthy for you (cures insomnia). Insomnia is usually caused by lack of enough sleep. Sleeping at the right angles in a hammock guarantees a peaceful night sleep and acts as a good remedy. Sleeping at the correct posture also acts as a remedy for acute back pain. However, sleeping at the wrong angles can bring you immense effects. The first step to having a comfortable sleep is making sure you set up your hammock correctly. Don’t tighten its ends; this will completely ruin the possibility to accommodate you. It’s recommended that you always leave the hammock loose to provide enough moving space when being in it. To sleep well in an outdoor hammock, get yourself to lie directly down the middle. Move your feet 7-10 inches to one side until you notice them sitting lower than they were. Follow the same procedure to make your head and upper body lower than they also were. Be extremely vigilant not to do this to the opposite side of your body. With these steps followed, you will now be in a flat position within your hammock. The entire purpose of this procedure is to align you at a thirty-degree angle. As aforementioned, setting your hammock right is very crucial in giving you a comfortable rest. 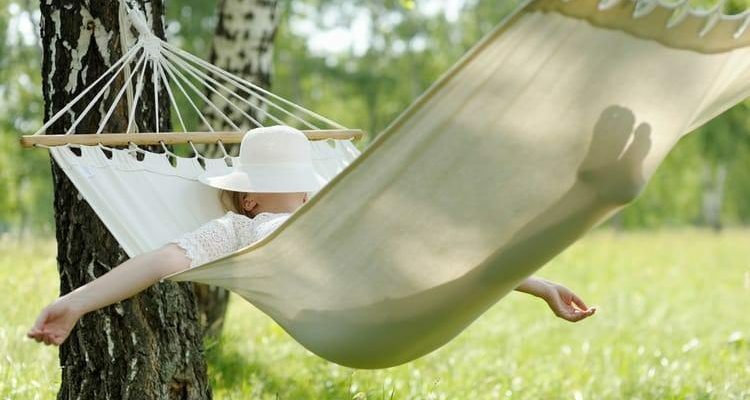 You will notice that the center of the hammock becomes tight while the sides lie loose. This way is the correct way. More often individuals find it difficult to position themselves because they set up the hammock wrongly in the first place. Placing your body in the middle of your hammock makes it take on the curve of your body. Moving it to the thirty-degree position aligns it perfectly with your body, providing you with maximum comfort. Camping is usually fun when you spice it up with well-made outdoor hammocks. In an environment with trees, you will find it easy setting up your hammock (just tie it up between two trees). For open grounds, pinning poles will be mandatory. Equip yourself with sturdy poles that can be firmly installed onto the ground and make sure to follow the right procedure for setting up your outdoor hammock. Hammocks are designed never to flip or spin so you don’t have to be afraid of falling when sleeping or moving around. Ultimately, your comfortable stay depends on the width of your hammock. A double hammock is suitable for individuals of slightly larger sizes. If you lie in the midsize range, a single hammock will work just perfectly. Outdoor hammocks are just as similar to sleeping bags. You might find them more preferable as they enable a flow of fresh air which might be a limitation of sleeping bags. 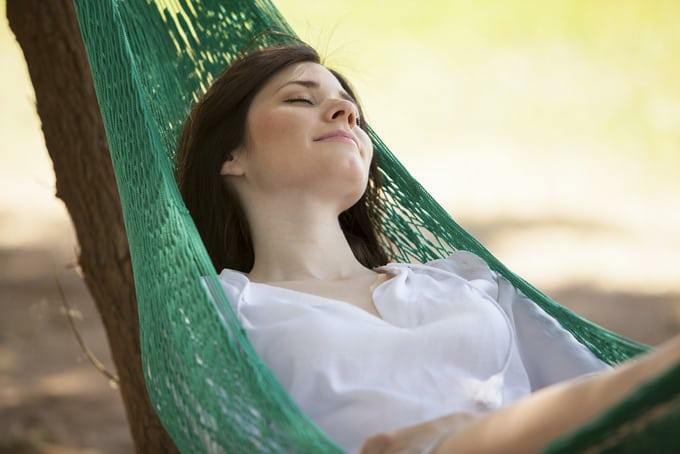 Adding a pillow to the hammock and wearing warm clothing will make your need more peaceful. Don’t forget always to have a blanket or a sleeping bag with you; the night might not be as friendly as you expect. The hammock is especially convenient in the tropics where the night is always chilly. Here you won’t need extra material for keeping warm. You should, however, make sure to wrap up to prevent skin abrasion and mosquito bites. Follow these tips and get the most out of your outdoor hammock. Doing it the right way is always the best way. Enjoy peaceful nights at the comfort of your hammock during your camping. During your camping, it is mandatory that you keep warm to enjoy. Having an outdoor hammock alone does not guarantee the best camping. As a camper, you must be equipped with the right extra materials to keep you warm. 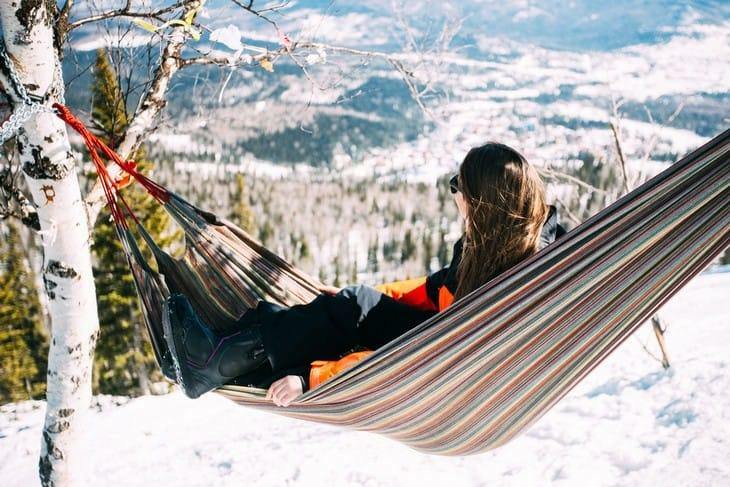 Follow these tips to ensure you are always on the right track in keeping warm in your outdoor hammock. The first step is to choose the best warm spot from your camping. Setting camp near a windbreaker or in the midst of a dense forest is preferable. Burry yourself entirely in a mummy-style sleeping bag and wear extra heavy clothing. Make sure always to close your hood around the head. Having a sleeping bag in cold environment adds a substantial amount of warmth that is certain to take you through the night. Inflate your sleeping pad and lie on top of it to maximize the heat generation. Have an emergency Underquilt. Blankets serve the purpose well and ensure you get insulated from winter’s harshness. Tie the corners of your sheet to the end of the hammock and completely tuck the blanket inside. Using DIY Insulating pads is very useful in keeping you warm. Though may produce some noises now and then, you’ll have a wonderfully warm night at the end of it all. You can use your car’s window shade as an insulating pad. In camping with outdoor hammocks, you need to have hammock camping gear list we need to know in order to have the best camping experience. These camping gears are necessary and are recommended by camping specialists worldwide. As you purchase an outdoor hammock, make sure to grab the camping gear to complement it. Carry along a tarp is especially useful for outdoor expeditions where you may need to rest outside your hammock. As tarps are water resistant, you will never have to worry about rain oozing into your shelter. I prefer Chill Gorilla 12' Hammock Rain fly Tent Tarp very much. It really useful in my outdoor trips with hammock or tent. Make sure to set it up correctly and experience the excitement in outdoor camping. I also have a list of top recommended tarps for hammock camping. Take it for your information. These are essential in setting up your outdoor hammock. Carry along buckles and webbing straps to connect the hammock to a tree or poles. Make sure the suspensions are not faulty to prevent the hammock from falling when sleeping in it. Having sleepless nights because of pestering bugs? You must have forgotten to carry along bug netting. Keep yourself from waking up in the middle of the night with bug netting that keeps all bugs away. With your hammock strapped to a tree, create extra fitting compartments close to where your suspensions are and fold the bug netting inside the hammock but a distance away from your head. This way you’ll always be comfortable. Guylines are essential in setting up a tent firmly in conditions which may seem unfavorable. The two primary uses of guylines are to provide increased strength to the tent and hold firm the rainfly, so it doesn’t overlap into the tent and cause leakages. Guyliners are especially important in instances where you might consider getting enclosed in a tent away from your hammock, more specific in the night. Besides, sleeping in a hammock may be tiresome too. Place the guyliner at a favorable position to prevent you from tripping over it; it may prove problematic to fix should an accident happen. This list provides the best advice for using hammocks. It is especially important to me as it touches on all the important and crucial things one must door with an outdoor hammock to ensure a comfortable stay. After reading this article, you have learnt one or two new techniques of setting up and laying in an outdoor hammock. Did you enjoy the article? Please drop a comment in the comments section and share with other camp lovers. Spread the love!